Jon Jones’ next title defense will take place February 1st, in Newark, New Jersey, as the UFC has confirmed the light-heavyweight champ will fight Glover Teixeira at the Super Bowl weekend event. UFC 169 will be hosted by the city’s Prudential Center. In addition, the UFC has announced that a heavyweight fight between Frank Mir and Alistair Overeem has been pulled from UFC 167, and booked for the February 1st card. According to a report from Newsday, officials decided it might be wise to allow Mir more time to recover from his stoppage loss to Josh Barnett at UFC 164. The defeat was Mir’s (16-8) third straight. Overeem (36-13), meanwhile, is coming off a KO loss to Travis Browne at UFC FN 26. The former Strikeforce champ was also stopped by “Bigfoot” Silva in February. 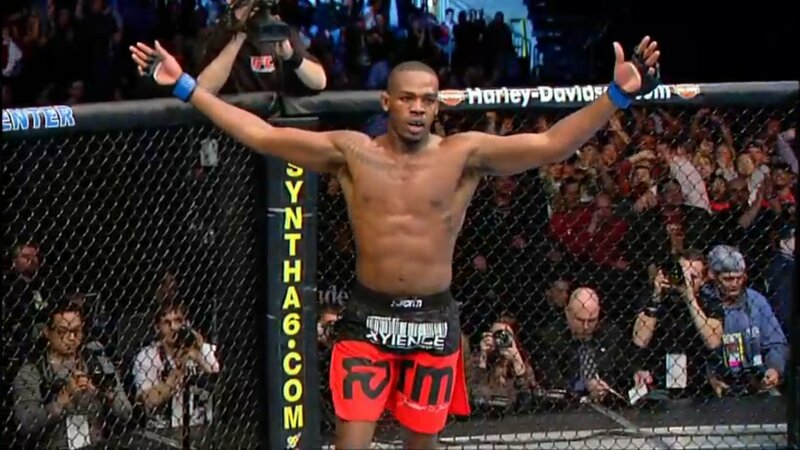 Jones (19-1) scored a unanimous decision win over Alexander Gustafsson in his last outing at UFC 165, which was one of the UFC’s most thrilling title fights to date. Teixeira (22-2), most recently, stopped Ryan Bader at UFC FN 28 to record his fifth straight win in the UFC. The main card for UFC 169 will be broadcast via pay-per-view.